When does it make sense to convert to a membership organization? Unifi-Ed, a four-year-old nonprofit focused on making Chattanooga/Hamilton County’s public schools more equitable and excellent, recently took that step. Unifi-Ed was formed in 2014 to get parents and community members actively engaged in fixing Chattanooga’s county-wide school system, which is “plagued by the same funding, segregation and equity problems that faced the Hamilton County Department of Education in 1997 on the first day the county’s newly consolidated school system opened classroom doors,” according to Chattanooga’s NPR station. 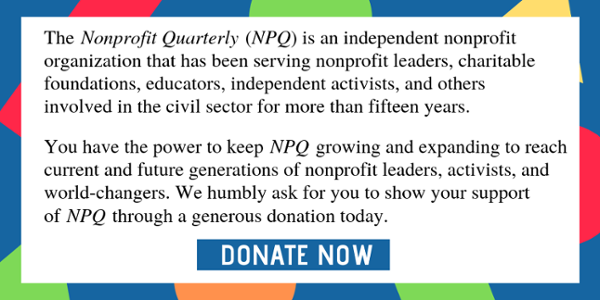 Financially supported by three of the city’s largest family foundations (including the far-right, Christian-focused Maclellan Foundation) and backed by civic, business, and community leaders, this new organization promised to hire an education engagement coordinator for each of the nine school board districts, host candidate forums, conduct candidate surveys, and work to increase participation in local elections. This statement captures the intended shift well, but the implications of that are massive and multi-layered. This is essentially a shift in strategy from advocacy, which tends to be the work of professionals seeking to shift policy, to organizing, which is policy and practice change led by the people affected by the issue. It means a fuller commitment to a collective power base, and better systems of organizing and policy development in that context, and that requires culture and orientation and governance shifts that would not, perhaps be easy, but would contain the democratically based power for systems change. That is, if it is done right. 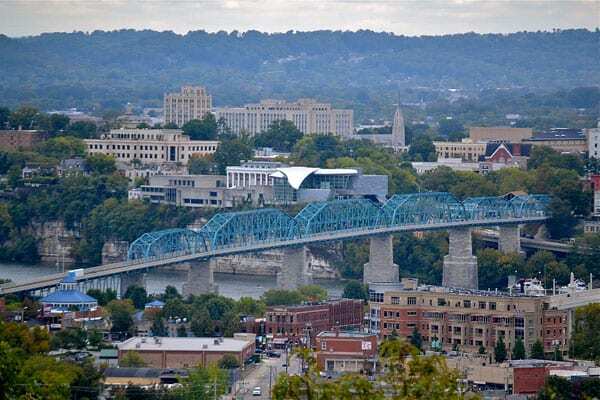 Like other big metros across the South, Chattanooga is a tale of two cities. Once called the “dirtiest city in America” by Walter Cronkite, it was recently named by Fortune as “one of America’s most start-up friendly cities” because of its early investment in fast Internet, significant collection of public art, and revitalized riverfront and Main Street. But in 2014, it also received the dubious accolade of belonging in the top ten metros nationally with the highest rates of income inequality. Black households make an average of $26,787 per year; white ones make $51,548. 60 percent of Black children live in poverty compared to 16.5 percent of white kids. And the schools reflect these disparities—only three percent of graduates attending schools of concentrated poverty (that’s one third of the county’s total schools) are college or career ready as compared to 30 percent of students going to more income-diverse schools. In 2016 Unifi-Ed zeroed in on educational equity, launching the APEX Project, which engaged more than 4,000 people through a survey and several bus tours, and in May 2018 releasing a policy platform that called for integrating the county’s schools through attendance zone changes, controlled school choice models, increased magnet school access, and improved transfer policies, as well as ensuring appropriate funding for a robust school transportation policy. In 2017, Unifi-Ed, in a reversal from its earlier stance, announced that it was launching a PAC to take the goals of reforming public education one step further—informing, lobbying, and endorsing candidates for local office. During the 2018 local election season, Unifi-Ed’s director, Jonas Barriere, temporarily resigned to head the new PAC which endorsed specific candidates for county commission and school board as well as donating money to targeted campaigns. Now, Unifi-Ed plans to become a membership organization, intentionally shifting to a model where community members can have “ownership and voice in our direction and goals.” There will be two classes of members—one based on payment of membership fees (suggested at $10/month) and the other based on volunteer hours. Some number of board seats will be set aside for members, but the real proportion of those to others is not detailed here. It is precisely in these kinds of questions where the rubber meets the road on membership models. Barriere describes the new structure as giving members voting rights and access to board seats and other benefits. That may not be collective ownership exactly, but a kind of awkward though not unusual hybrid.